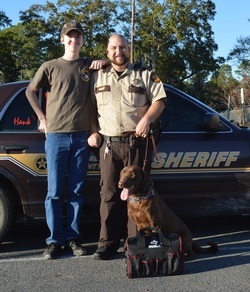 *1Boy4Change is partnering with "American Aluminum" to provide Cool Guard Heat Alarm Systems to Police K9 Handlers. Each system costs $375.00 without a pager and $675.00 with a pager. *Both of these projects are contingent on available funding and/or sponsorships. If you are a Police K9 Handler and interested in applying for either of these programs, please complete and submit the Heat Alarm and First Aid Kit Application.